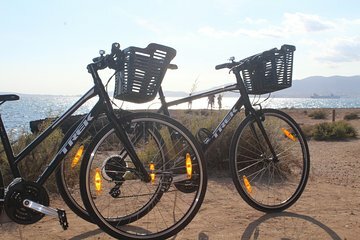 Get outdoors and explore the best Mallorca has to offer by renting a bicycle for a day. Avoid busy buses, and exhausting itineraries, and instead have the freedom to plan your day. Travel with ease on Trek bicycle with 21 speeds, as well as a helmet, bicycle, and lock. You’ll get itinerary advice before you set off, and the best thing about exploring the city on bike, is that you can decide on all the sights you visit.